I prefer analog, not for nostalgia or for beauty. I want to see the progression of time. I want a visual representation of just how close I am to moving toward the next minute. The digital clock doesn't reflect the human need to feel time progress. It is cold, logical and too far removed from the way we sense time naturally. I don't use an alarm clock for a few reasons. First, I want to trust my body. I want my sleep patterns determined by real sleep cycles. It's more than that, though. I want to wake up to silence. I want to begin my day in solitude. The shrieking sound of an alarm clock makes me irritable and panicky. Okay, I know this sounds crazy, but I like the faucets with two handles. I like to control the exact temperature and water pressure. To me this is the classic case of "improving" something by allowing for less human autonomy. I know. I know. I can highlight and tweet it out. It saves my spot automatically. I can jump from book to book. I can use a search function. I can use it on multiple devices. And yet . . . I like the feel of books. I like the way the weight changes as I progress toward the end. I like the asynchronous dialogue that happens when I let someone borrow and write notes in a book. I don't mind being tethered to the kitchen if it means I can find the phone every time it rings. I have a feeling this will only get worse as the kiddos get older, too. I drive an automatic right now and it bothers me. I miss the control of the clutch and the gears. The minute I got an automatic, driving became a very detached experience. And a part of me wonders if detachment is the ideal driving method. I like having a white board. I like being able to shine a projector on the white board and then sketching on top of it. Yes, it's less fancy. However, it's multifunctional and I can write on anything without having to change settings, save pictures to a folder, etc. Yes, but one can save a flip chart! True. However, one can also take a quick snapshot of a whiteboard and post it to a blog. I have never, in the process of channel surfing, decided that it would be great to adjust the color contrast, change the sleep function and set the time. It seems like these options ought to be part of a single menu from a single menu button. It's the classic case of offering too many choices when a set of numbers, a volume changer and an up/down button would suffice. I once had a car with a digital speedometer and it constantly flickered between two numbers. I'd rather gauge my speed quickly and move on. When I was a kid (back in the days of the Oregon Trail, Culture Club and Trickle-down Economics) the thermostat was simple. One could turn the nob to the exact place. From a design perspective, I wonder if we've made a mistake in replacing knobs with buttons. The knob is faster and more intuitive. Okay, that's enough. I promise that I'm not always such a curmudgeon. Thanks for the post. I had been looking for something related and found your web site in the process.. I will definitely be back for more. 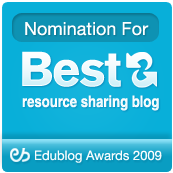 TeachPaperless began in February 2009 as a blog detailing the experiences of one teacher in a paperless classroom. It has grown to be something much more than that. In January 2011, TeachPaperless became a collaboratively written blog dedicated to conversation and commentary about the intertwined worlds of digital technology, new media, and education. Thank you to all of the readers and subscribers who contribute in their own way to this blog. Over 1,500 teachers from across six continents signed our pledge to go paperless in their classrooms for Earth Day 2010. Here is the full documentation of the event. And here are examples of what teachers did in their classrooms. Thank you to all of the teachers, students, and admins who took part and who supported our effort! Why Do I Hate Paper? TeachPaperless: Blogger of the Week featured at the 10:30 min mark. Why did the Chickenman cross the road? Review: Avengers Endgame is three of Marvel’s best films, rolled into one - Our spoiler-free review should make you feel good about your opening-weekend ticket. 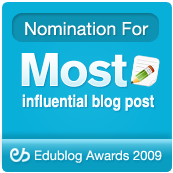 TeachPaperless was noted as a Twitterer worth ReTweeting by Education Week's Digital Education blog. Also in Ed Week: "Shelly Blake-Plock has had some really intriguing posts already this year and I'm already behind. Considering he published 639 entries on his TeachPaperless blog in 2009 it's going to be hard to keep up, but well worth the try." Shelly's @TeachPaperless feed was named as one of the 'Twitters to Follow' by the Lincoln Center Institute. 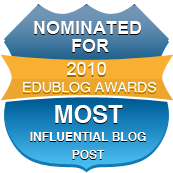 Shelly was awarded a press pass to NECC 2009 from ISTE for his post:What Does Internet Blocking Suggest to Students? 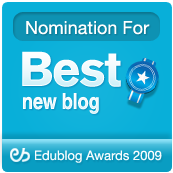 TeachPaperless was named one of the 'Top 25 Blogs for Educators' byWorld Wide Learn. Shelly was named a 'Featured Author' for his TeachPaperless comic series at Pixton. com. And of course, everything on this blog is the personal opinion of the individual bloggers and does not reflect the opinions of of anyone else, including employers, in any way. But that should be obvious by now.